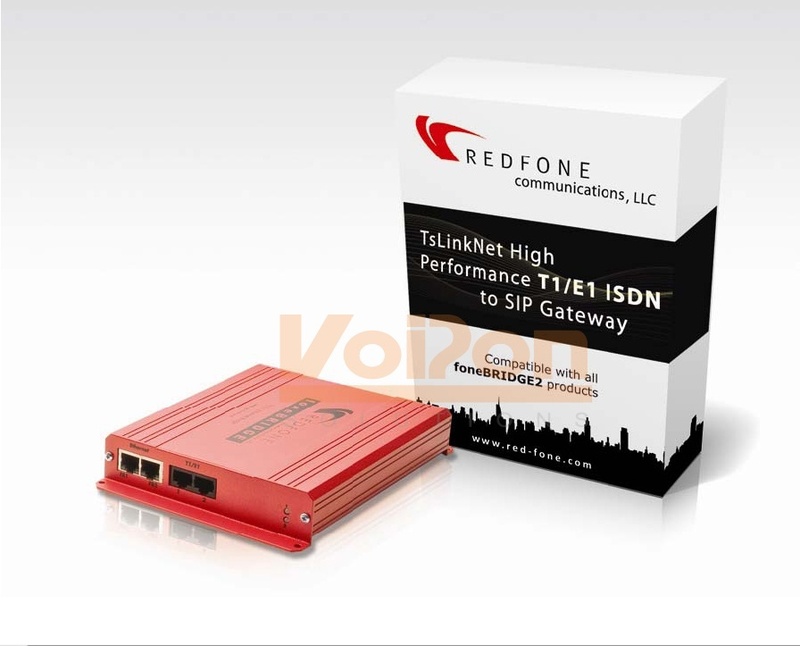 TsLinkNet translates SIP signaling to PSTN signaling, and converts G.711 packets from the IP application software to the TDM stream used on the PSTN. 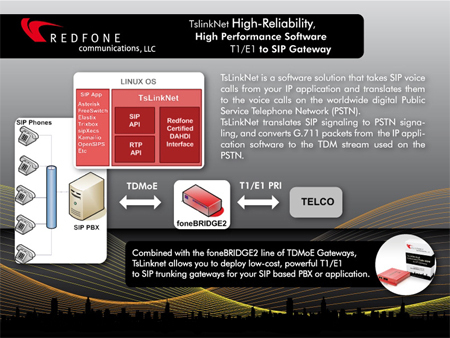 Combined with the foneBRIDGE2 line of TDMoE Gateways, TsLinknet allows you to deploy low-cost, powerful T1/E1 to SIP trunking gate-ways for your SIP based PBX or application. 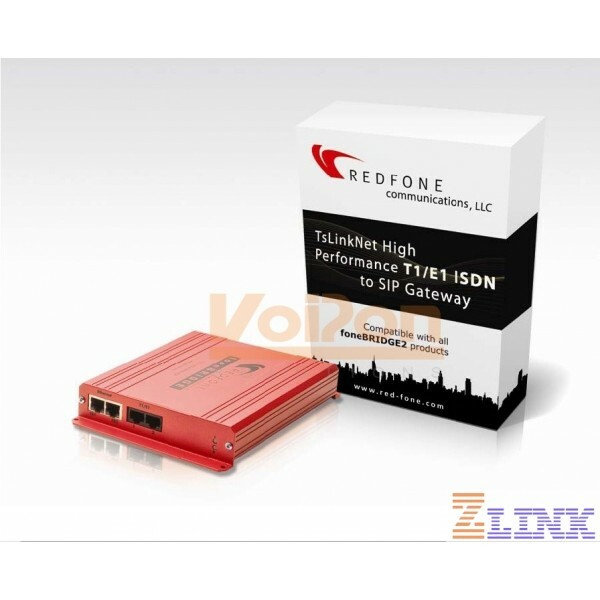 TsLinkNet runs alongside the IP application software on the same PC/server platform and under the same Linux operating system as the IP application. 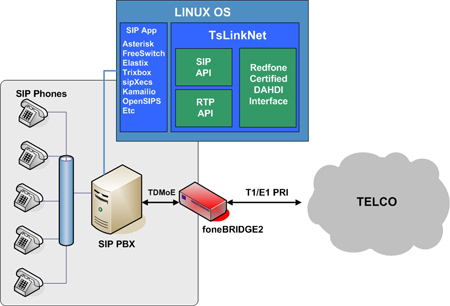 Optionally, the TsLinkNet application stack can run on a dedicated Linux PC/Server and communicate with an external SIP application server or device. Worldwide CAS support available soon. RBS, E1 R1 and R2 for many countries. Licensed in groups of 30 channels, minimum one 30 channel license.